Devoleena Bhattacharjee Acts Pricey, Loses Out Silsila Badalte Rishton Ka To Drashti Dhami! Silsila Badalte Rishton Ka is one of the most-awaited show on Colors TV. A few days ago, the poster of the show which featured Drashti Dhami, Shakti Arora and Aditi Sharma went viral on social media. It has to be recalled that Devoleena was the front-runner for the show and it was said that Drashti will be seen doing a cameo role! But according to the latest report, Devoleena lost to Drashti as she quoted huge amount. A source close to the channel was quoted by BollywoodLife as saying, "They were quite keen on Devoleena but she demanded close to a Lakh per episode. It left them shell-shocked. Later, they said they were ready to shell out till Rs 85K per episode but she did not relent. "Finally, the team signed on Drashti Dhami, the second favourite, who came at a much more reasonable fee." The source further said, "Drashti settled for approximately 60K, which was affordable for the makers." When BollywoodLife got in touch with Devoleena for clarity, she said, "I don't talk commercials. It is my manager who handles all this. He is handling many other artistes as well, including Drashti." Did Devoleena Quote Rs 2 Lakhs Per Episode? It has to be recalled that one of the reasons for Saath Nibhana Saathiya going off air was Devoleena Bhattacharjee's high demand of fee hike (another reason was tiff between the channel and the producer)! 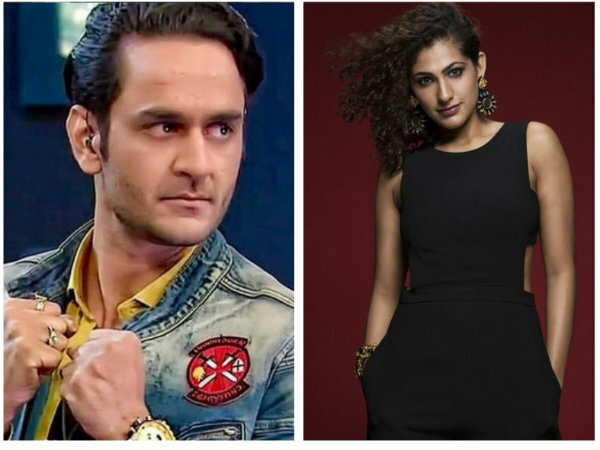 It was said that the actress demanded pay hike of Rs 2 Lakhs per episode which was unacceptable by the channel as Rupal Patel was also getting a huge amount. The Channel Wants Her In Khatron Ke Khiladi 9! There are also reports that the channel wants to rope in Devoleena for the stunt-based reality show. The ninth season will be hosted by Rohit Shetty and the shooting will start in July. The team will be shooting in Argentina. Apart from Devoleena many names are doing the rounds regarding the participants. It is also being said that cricketer S Sreesant and Bollywood actress, Shamity Shetty are the first two contestants of the show. Actors who have been approached for the show are, Bharti Singh, Harsh Limbachiyaa, Zain Imam, Jasmin Bhasin, Mandana Karimi, Avika Gor, Aditya Narayan and Karan Tacker.